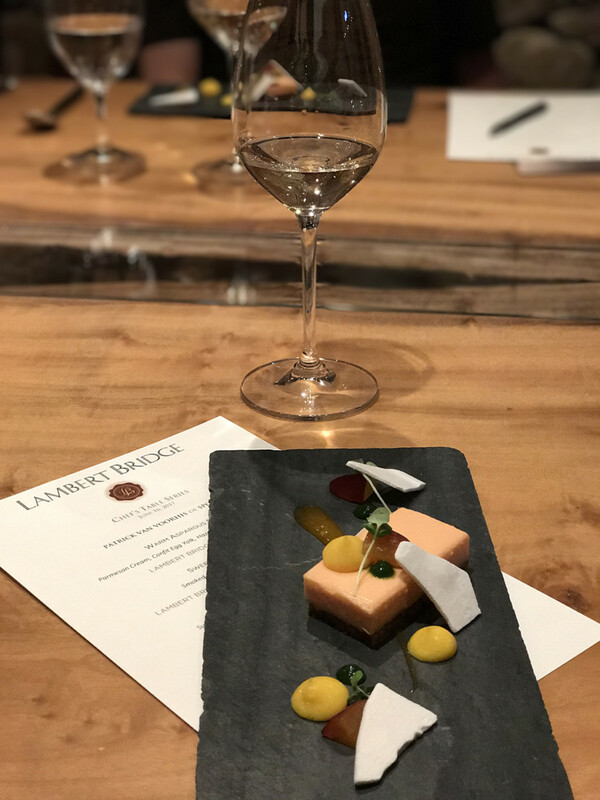 Lambert Bridge Winery located in Healdsburg is a Winery I had the pleasure of visiting and had a fabulous Chef’s Table Series experience with Chef Patrick Van Voorhis of SpoonBar, Healdsburg. 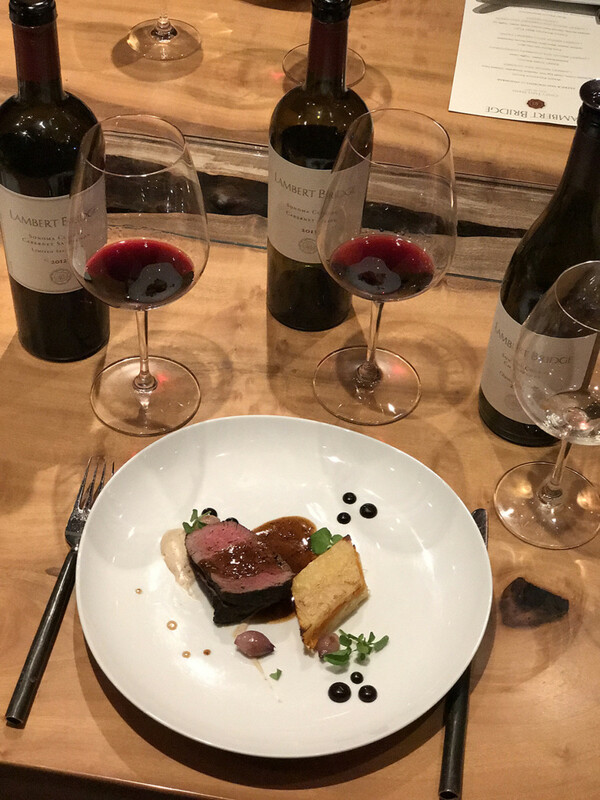 See more about this incredible Sonoma Winery, the lovely tasting I enjoyed and learn why you should visit yourself…. Arriving to Lambert Bridge in style with my Audi A5. 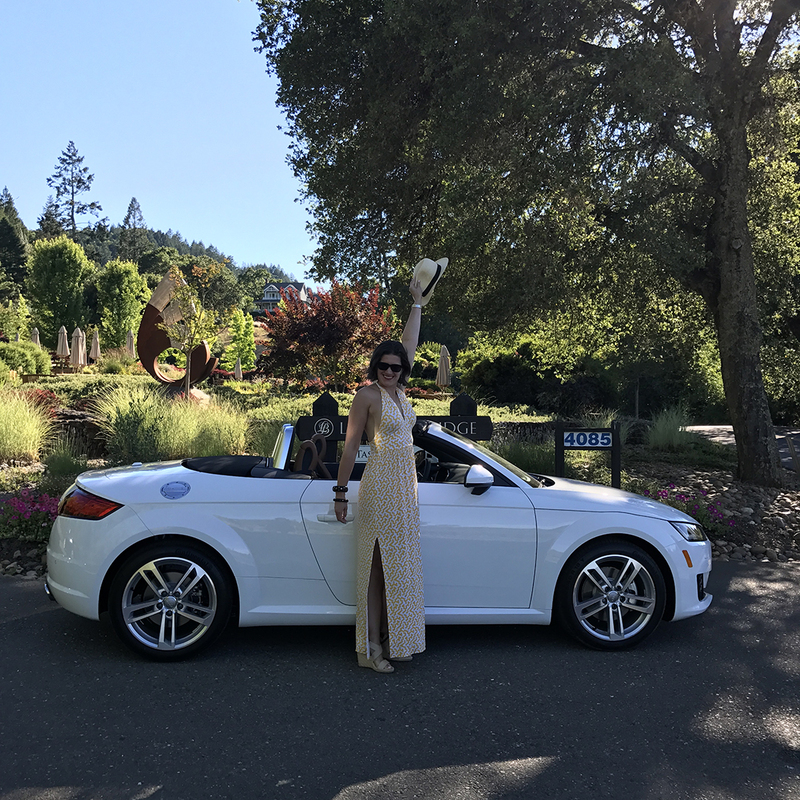 Thanks to Audi on Demand for sharing yet another fabulous Audi with me for my travels. 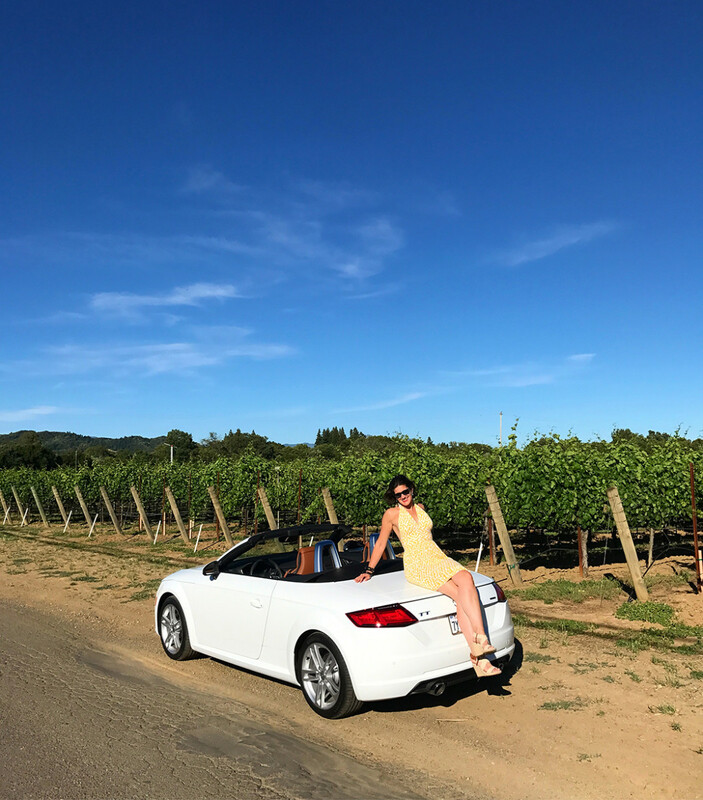 This A5 convertible was such a blast, perfect for a Sonoma wine country getaway! Read more about Audi on Demand here and learn how it works, or visit Audi on Demand here and use the code JSF to save 20% when you try the service for the first time . 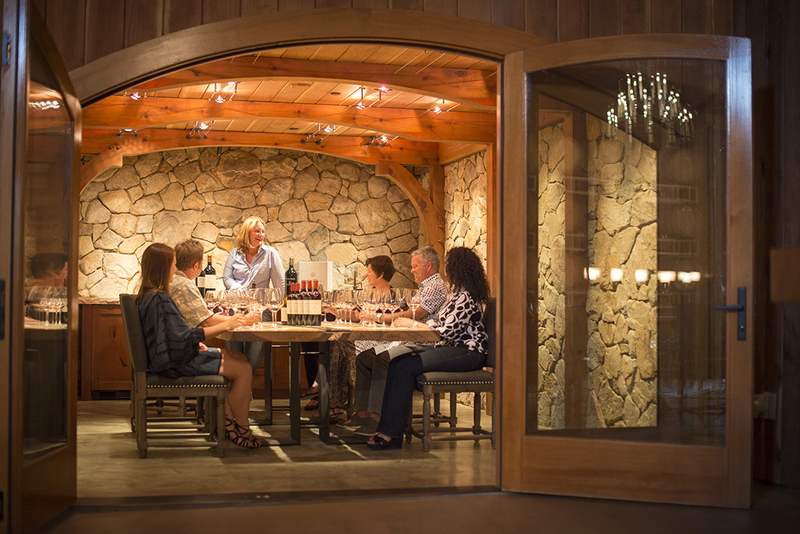 The tasting area located within the Lambert Bridge Winery. 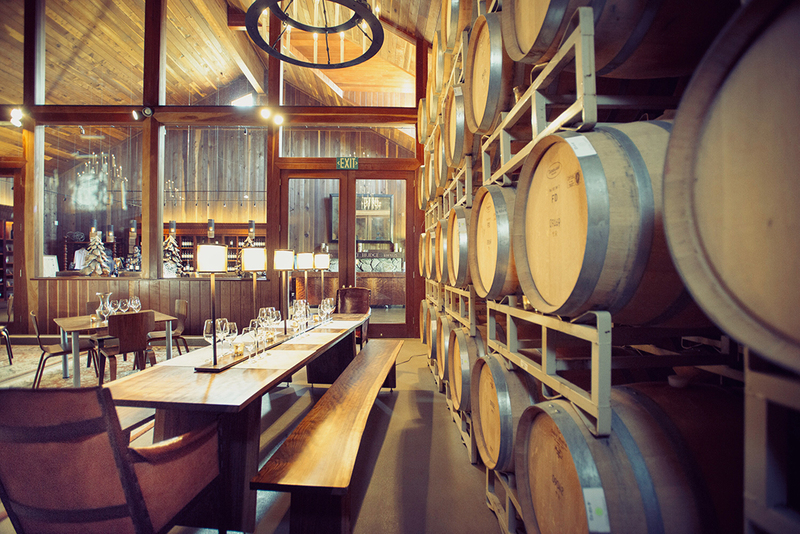 I didn’t experience my tasting here (as we had a private dining room you’ll see below) but this space had a very cool, barn life feel to it with a large arched ceiling, barrels and great energy. 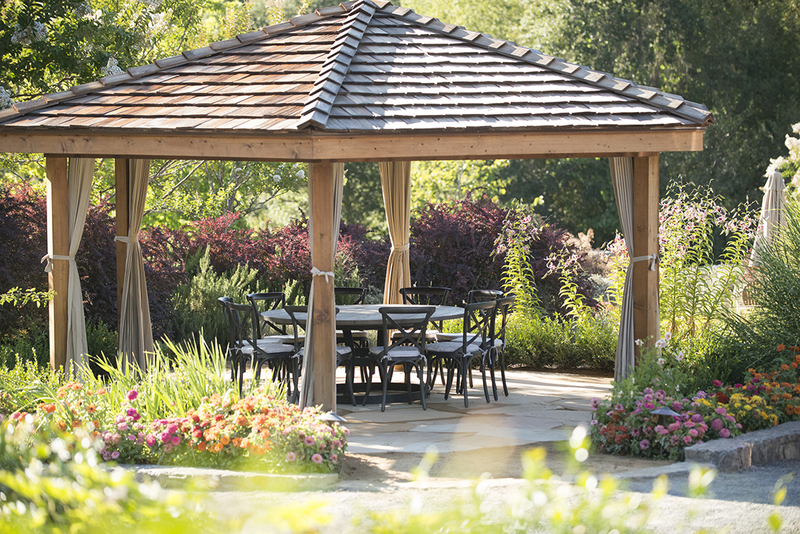 I can see why guests would enjoy a tasting in this setting paired back to the great Lambert Bridge Wines. 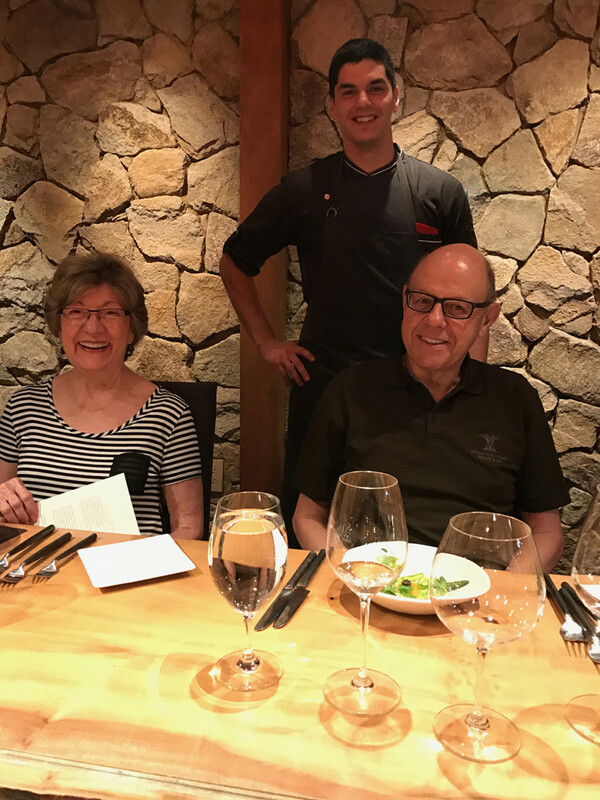 The setting of our Chef’s Tasting located in a private dining room with a cellar like feel that was super intimate and special. 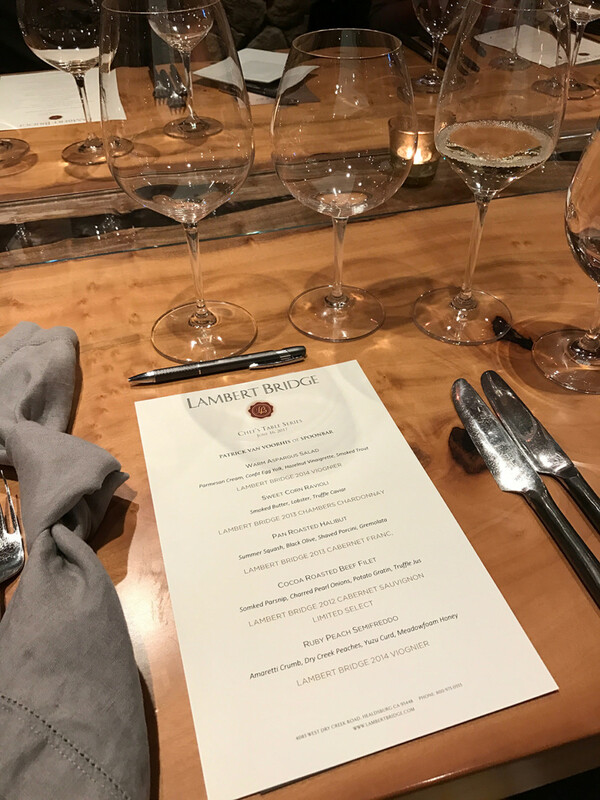 The lineup for our Lambert Bridge Chef’s Table experience with Spoonbar. 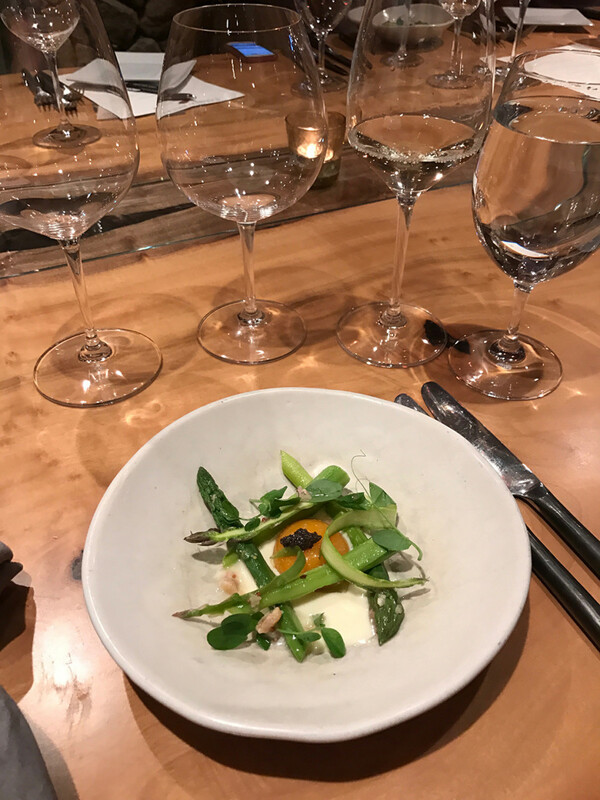 The first course, a Warm Asparagus Salad. 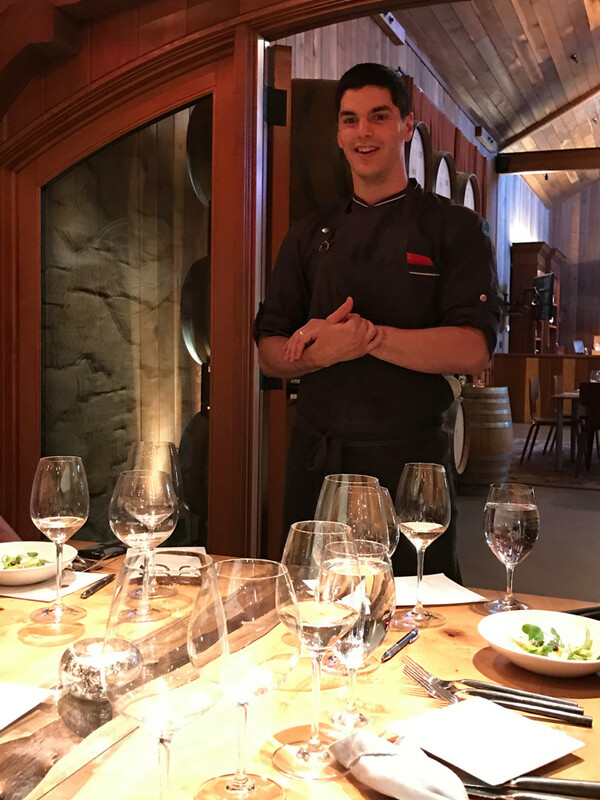 Chef Patrick introducing himself and welcoming us all to the event. 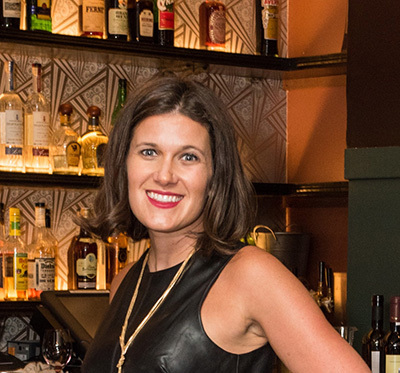 He’s fabulous, we met a while ago at the Charlie Palmer Pigs & Pinot event, read more about the fabulous Pigs & Pinot event here, and Patrick was so sweet remembering me and saying hi again. The incredible Sweet Corn Raviolli which was amazing. I also thought the presentation was so adorable. 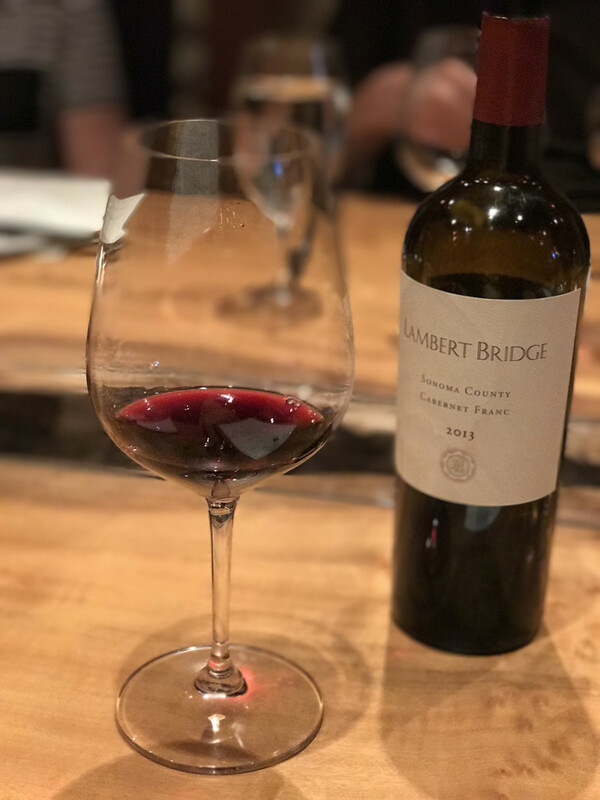 This was one of my favorite Lambert Bridge wines, the 2013 Sonoma County Cabernet Franc. 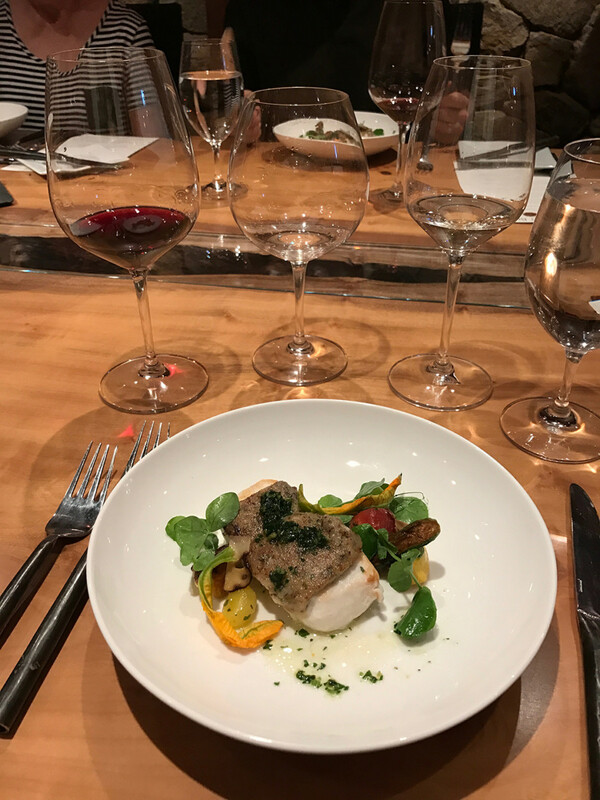 I think Cab Franc is totally under appreciated and this one was lovely, pairing back perfectly to the delicious food we enjoyed! The Cocoa Roasted Beef Fillet. And yes if you’re wondering if there was enough food, there was plenty! 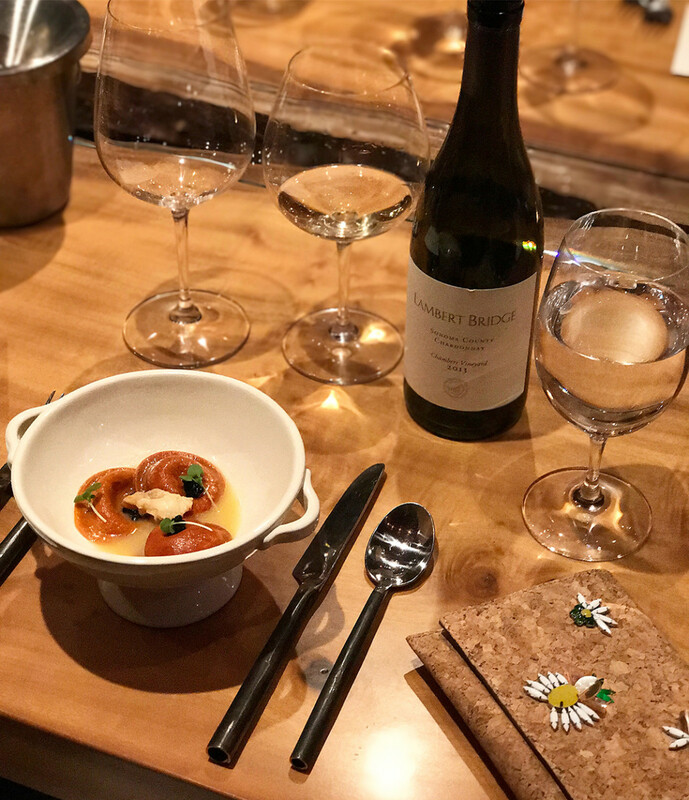 We had a generous amount of food and wine so guests really left the experience satisfied and wanting to buy wines to take home with them and of course plan a trip to Spoonbar to enjoy more of the amazing food. 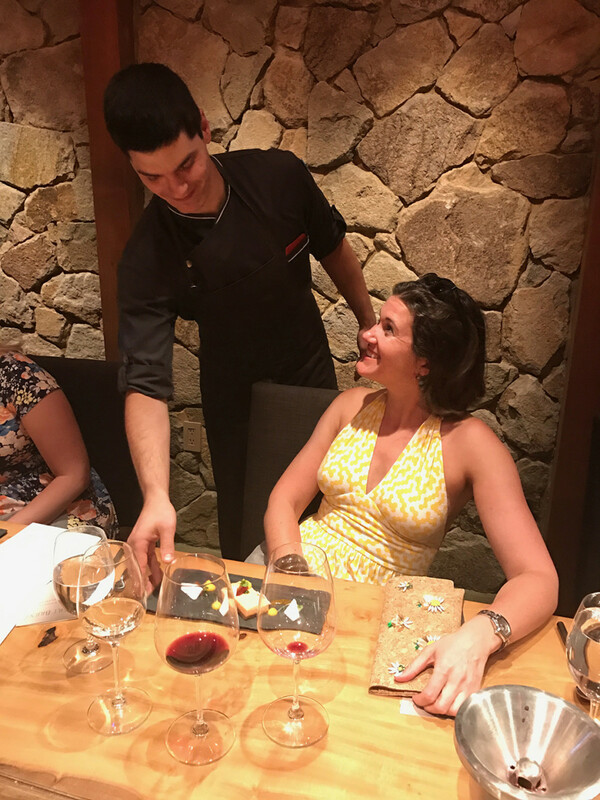 What an adorable dessert presentation of Ruby Peach Semifreddo. 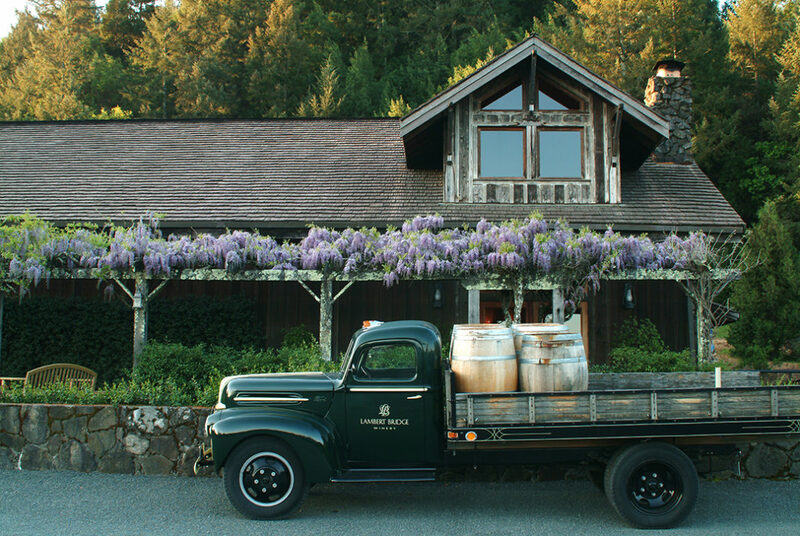 Hats off to this incredible Healdsburg Winery and the fabulous experienceI enjoyed. 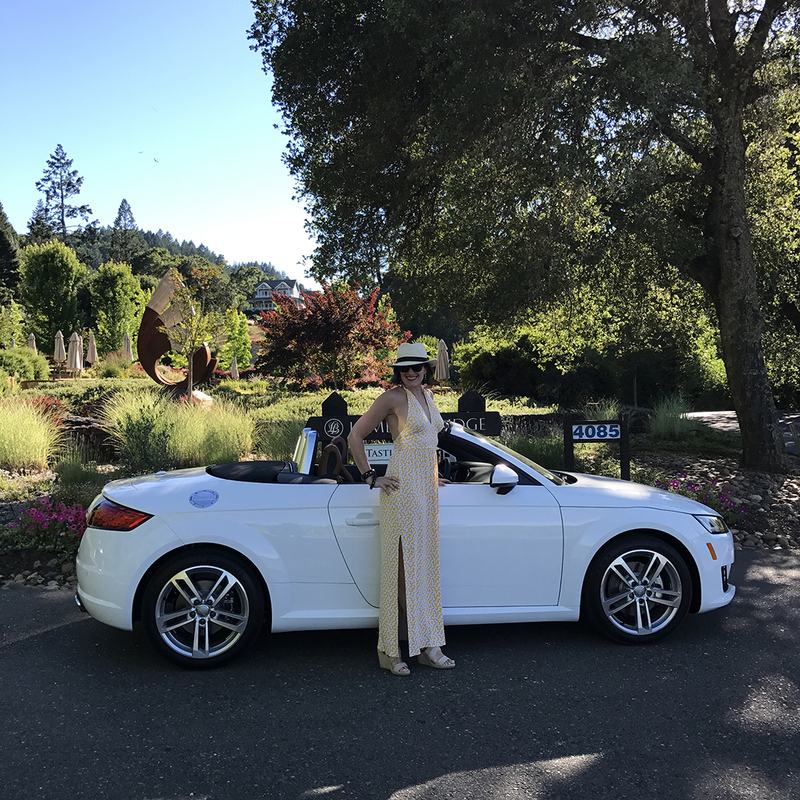 A huge thanks to Lambert Bridge for hosting me and my guest for this visit and to Audi on Demand for sponsoring this post with their Audi on Demand Audi A5.